Hello again! I was tagged by a really fun blogger: Alex @ Lord of the Trekkies! I highly suggest you go check out her site, and her book blog is available here as well, for you to take a look! Peter: This is my chance to prove myself. Very cool – I will look at this in during the week. Thank you. Thanks! 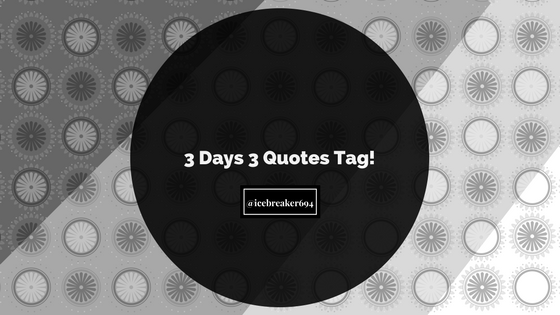 I’d like to see what quotes you choose! And no problem! Ooh, interesting…thanks for the tag! Okay, after having watched this movie…can I just say that I can appreciate your tag’s theme more? Because I loved this movie, so much. Expect a review in a day or two! Yes! 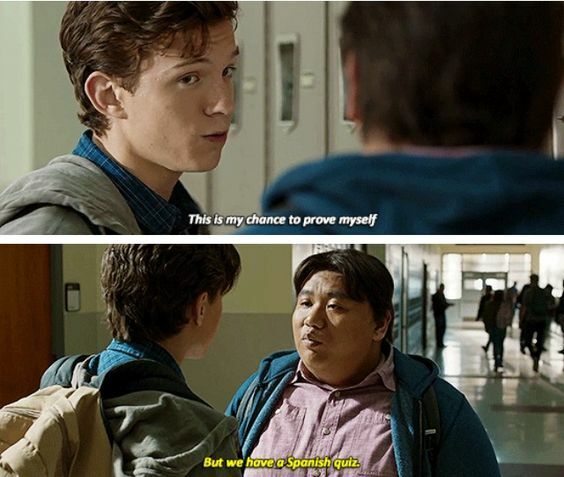 I loved Homecoming, Ned is my favorite character. XD I’d love to see your review! Ned is definitely one of my favorites, if not my favorite. He had some of the best lines, haha. Also, I was wondering if maybe you could check on my story? I’ve updated a lot. Ooh, and I’ll go check it out! Sorry, I didn’t know whether you added anything yet, but thanks for telling me! I try to update consistently, but sometimes writer’s block hits. Or I get the urge to massively edit. Which I’m doing right now. Sigh. That’s fine, at least you’re getting something done. 😀 Progress is progress.